Whenever anyone thinks of a Victorian wedding they envision a bride adorned in a beautiful heirloom gown and framed by a delicate Gossamer lace umbrella. However, wedding umbrellas or parasols can be utilized for more than a beautiful accessory for the bride. If you are planning an outdoor wedding with a Southern Belle theme, umbrellas or parasols will be perfect to add a touch of grace and charm. 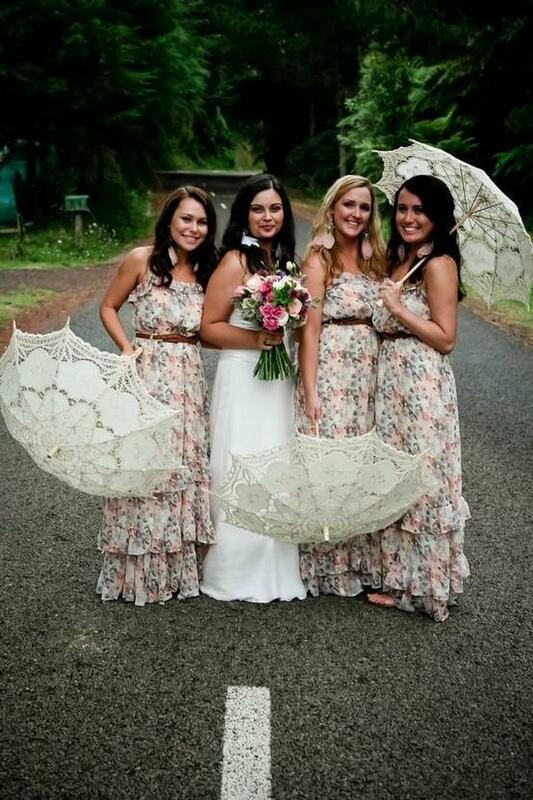 The bride can carry a white lace umbrella and the bridesmaids can carry umbrellas to match the color of their dresses. This gives a stunning effect during the spring for an outdoor garden wedding when the flowers are in full bloom. Decorating for a wedding ceremony and reception can be a challenge and become costly. Wedding umbrellas can turn an ordinary space into an elegant work of art without breaking the bank. They can be white lace and adorned with ribbons or brilliantly colored for a rich contrast. To create a false ceiling effect, umbrellas can be hung upside down from the ceiling and strings of lights can be hung behind them to create a soft glowing ambiance. The umbrella theme can be carried to the guest tables for the reception. 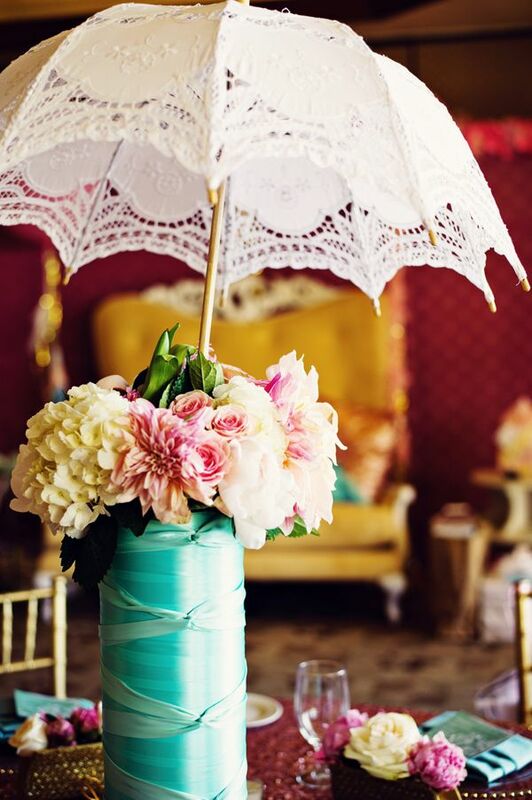 Create unique center pieces with miniature lace parasols that are opened slightly and filled with flowers that coordinate with the colors used in your wedding. Small cocktail umbrellas are ideal for making place cards by attaching personalized ribbons. Imagine the impression that will be made on all the guests when they see how much care went into the wedding planning. Wedding umbrellas are an excellent way to add a touch of elegance to any theme. They are the perfect accent for any wedding while helping stay within budget.